The Book Rat: CLOSED Giveaway: The Uses of Enchantment, from Edie! CLOSED Giveaway: The Uses of Enchantment, from Edie! Thanks to the lovely Edie @ Silence in the Library, we have a copy of The Uses of Enchantment to offer 1 lucky winner! (Thanks, Edie!) This book is a must for the truly fairy tale obsessed (yes, Misty has read it...). Please note, this giveaway is on The Book Rat and Books From Bleh to Basically Amazing - please only enter once; multiple entries will be deleted. Ah Bruno, he's so steeped in controversy. 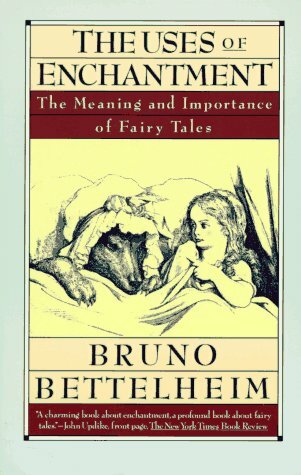 Though his theories are interesting (where fairy tales give dimensions to a kid's imagination...etc). I like Jack Zipes too but then again, he is one of the leading folk tale theorists. Also Marina Warner. Her Beast to the Blonde book contains some really interesting articles and insights about fairy tales. AND I LOVE JACK ZIPES!!! Thanks for the giveaway. 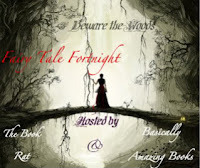 Book sounds amazing.I'm addicted to fairy tales. I love the vintage throw back cover. This one sounds so interesting. Thanks for the giveaway!